Get ready to step up your spritz game this Christmas with Impulse Body Mists and step out in style with a new party season look. We’ve teamed up to offer you the chance to win the full Impulse Limited Edition Body Mist range and a £500 Topshop gift voucher so you can get down and misty in style! 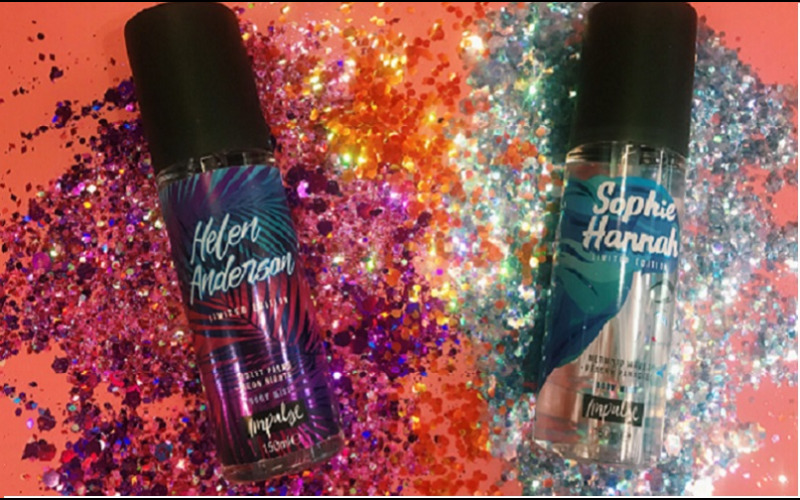 Your ultimate party season accessory, the NEW Impulse LIMITED EDITION Body Mists are inspired by the hottest trends of 2018, think unicorns, glitter, mermaids, candy all in the glow of neon lights – one spritz will leave you feeling mist-ical and party ready. Made in collaboration with Instagram stars Sophie Hannah and Helen Anderson and our sparkly sisters Go Get Glitter, the new Body Mists are the perfect finishing touch to any festive look! For mermaid vibes, Sophie Hannah’s Body Mist is a mash up of ocean breeze and peach blossom, to make a perfectly peachy mermaid medley. But if you’re more rock chick, then try Helen Anderson’s Violet Palms + Neon Lights Body Mist, which will transport you to partying amongst the palm trees in the glow of neon lights. Both of these scents are available now nationwide at Boots. Get set to sparkle this season with Go Get Glitter’s Limited Edition Body Mists, available exclusively in Superdrug. Doing what they do best, the Girls at Go Get Glitter have given the Impulse Body Mists a mist-ical makeover by creating new scents and transforming the bottles body art with glitter style packaging. Whether you’re more Coconut Spritz + Glitter Bomb or Melted Candy + Unicorn Dust, there’s a sugar coated creation that’s bound to put a sassy spring in your step. So pop the top, spray where you want, when you want and get ready to dance the night away!